Interviewing candidates is a critical step in the hiring process and can have a significant impact on the candidate experience. 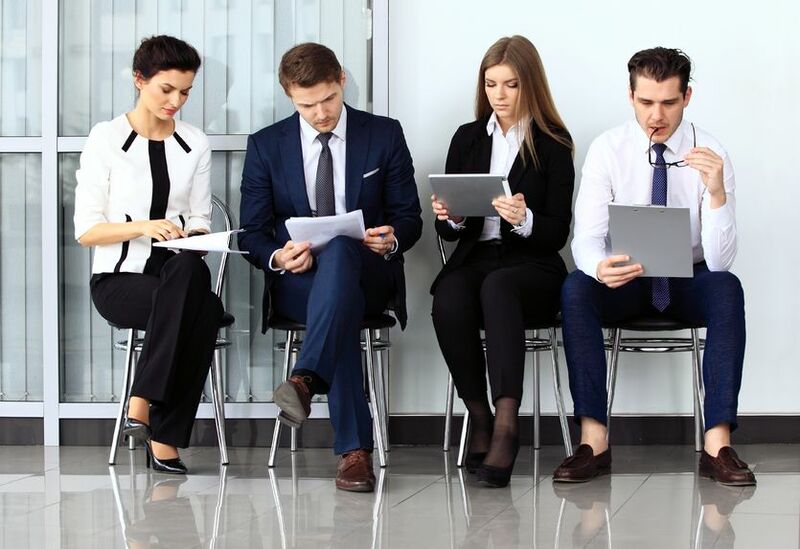 Not only can interviewing help you gauge whether or not a candidate is a fit for an open role – both from a skills and culture fit standpoint – but it can also make or break a candidate’s decision to join your team. While important, coordinating interviews can be time consuming and frustrating for both your team and candidates. To schedule an interview, you have to coordinate based on each candidate’s schedule and your employees’ schedules, which can get complicated. And if you can’t schedule an interview in a timely manner, you risk losing top talent to the competition. Is your business doing everything you can to offer flexible interview scheduling and support a great candidate experience? If you’re looking to improve, consider the tips below. Rather than going back and forth via email or playing phone tag with each candidate, try implementing an automated interview scheduling tool. With automated scheduling, you can first determine your team’s availability, then send candidates several dates and times that work for your team, and each candidate can select a time that works for their schedule. With some scheduling tools, interviews even get automatically added to candidates’ calendars, so they won’t need to dig through their email to remember the time. Beyond improving the candidate experience and saving your team time, automated interview scheduling can also help you cut down time to hire. This will help you fill each role sooner, increasing productivity, as you won’t have to spend time going back and forth with each candidate to find a time that works. Before inviting candidates to your office for an in-person interview, start off with a phone screen. This can be a quick call, saving your team and the candidate time and resources, and can help you weed out candidates who might not be a fit for your company. During the phone screen, you can get a general feel for a candidate’s interest in the role and relevant skills. And when candidates do well during phone interviews, you can invite them in for in-person interviews to dive deeper into skills, interest and culture fit. Even if you have automated scheduling capabilities, finding an in-person interview time that works for everyone can require a lot of back and forth. And many of your candidates likely already have jobs, so it can be tough to get away for an interview. When scheduling in-person interviews, create a positive candidate experience by moving the process along as quickly as possible. This should include setting up back-to-back interviews with different team members, instead of requiring candidates to come back to your office on several different occasions. A delay in the interview process can lead to candidates getting frustrated or accepting another job offer with a quicker process. And not only are back-to-back interviews more convenient to the candidate, but they’re also beneficial to your team, as anyone involved can immediately regroup after the interview and decide whether or not to move forward with the candidate. Your strongest candidates candidates are among the busiest and most difficult to schedule, as they’re likely hard at work in their current roles – but you don’t want to miss out on top talent due to scheduling challenges. To secure quality candidates, consider offering occasional evening or weekend interview options. While you can’t expect your team to set aside every weeknight or Saturday, if you have a long list of open roles, some atypical scheduling options can help you fill roles quicker. It also offers your team added benefits, such as ensuring candidates don’t cancel last minute due to work conflicts and more time to complete the interview, as candidates won’t have to rush back to work. Strong candidates will also take notice of any flexible scheduling options and your business will stand out from the competition. Candidates will realize you truly value their time and are willing to take extra measures to hire the best team possible.